We like to call our practice a “dental home” instead of a dental office, because when you come to see us, the husband and wife team of Dr. Travis and Dr. Christel Cochell will make you feel like you’re visiting old friends as they take care of your smile. We’re happy to treat patients of all ages, and we’re able to provide a wide variety of services so everyone’s experience is always perfectly suited to them. Our friendly team is ready to change the way you think about going to the dentist, and we can’t wait to welcome you to our patient family. Once you’ve decided to come see us, finding our office is worry free. 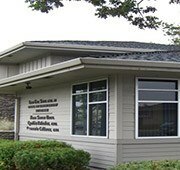 We’re located in the heart of southeast Salem – just off Mission St. SE. We see patients of all ages and once you're here, you’ll find many services under one roof. However, we also recognize when to use our carefully selected specialists. So no matter if it’s simple or complex, we make it easier than ever to keep your family healthy and smiling year after year. 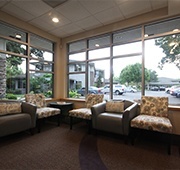 Our office has a uniquely warm and welcoming atmosphere that patients of all ages can enjoy. Our team is full of smiles and enthusiasm, and we’ll go the extra mile to make every member of your family feel right at home. We have the fun and relaxed environment that kids love as well as the treatment options adults need, ensuring that everyone feels welcome and comfortable every time they come to see us. Dental emergencies are certainly stressful, but you can breathe a little easier knowing that you have not one, but TWO emergency dentists ready to help at any time. If you or a loved one ever experience a dental injury or severe toothache, just give Cochell Family Dentistry a call, and we’ll do everything we can to see you as quickly as possible. We focus to eliminate your pain, and we work to provide long-term solutions so emergencies are minimized!